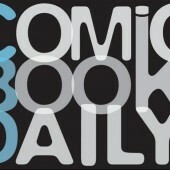 Dr. Doom – Stand up Comic? 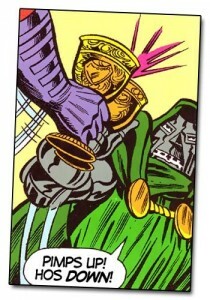 My love for Doctor Doom knows no bounds. 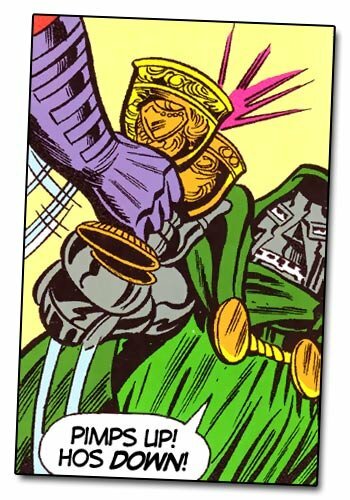 I mean – let’s be honest here – were you to meet a young child named Victor Von Doom you would probably follow him around just to see the wacky stuff he gets up to. The fact that he only has a metal mask he never takes off, dabbles in both science and scorcery, rules a small country in the Balkans and is considered to be one of the most dangerous men in the world is almost sort of underwhelming when one thinks of the all the potential he once had. That’s not to say that he’s not a a success in his own right, but dude would be totally awesome and would accomplish so much more badassery if he could just get over his infatuation with Reed Richards. Well, looks like Doom is adding another line to his resume.. Stand up comic. Check it out, he’s making appearances around Baltimore (after watching the Wire I understand why he’d choose that city to hone his craft) and he’s delivering some pretty scathing comedic beatdowns.